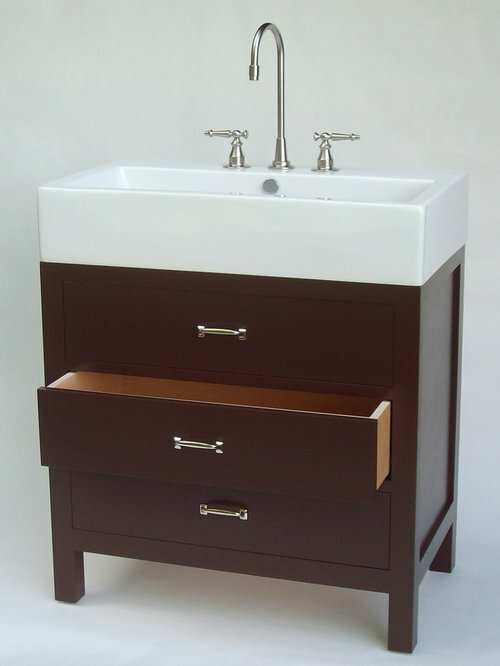 This vanity features full extension drawer slides, maple dovetailed drawers, and a painted finish. 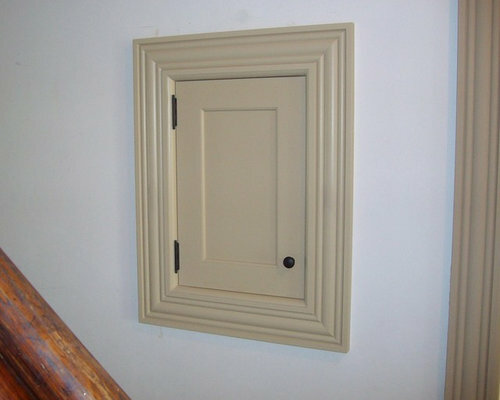 This cabinet was built for the stair hall of a Victorian home in Doylestown, PA. The casings match the door and window casings throughout the house. The door is mortise and tenon. 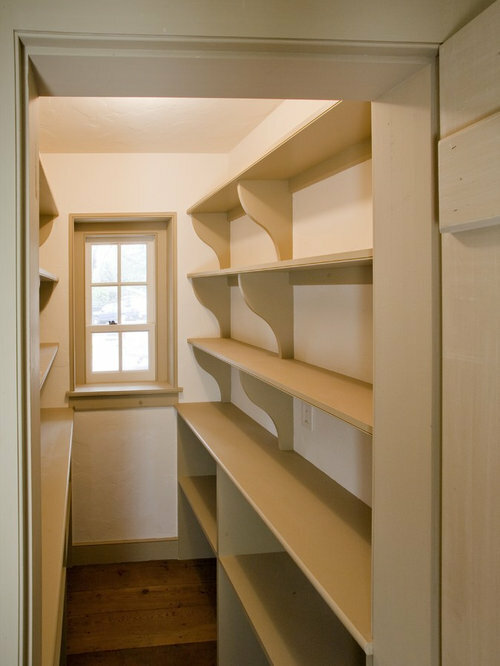 Adjustable interior shelves. 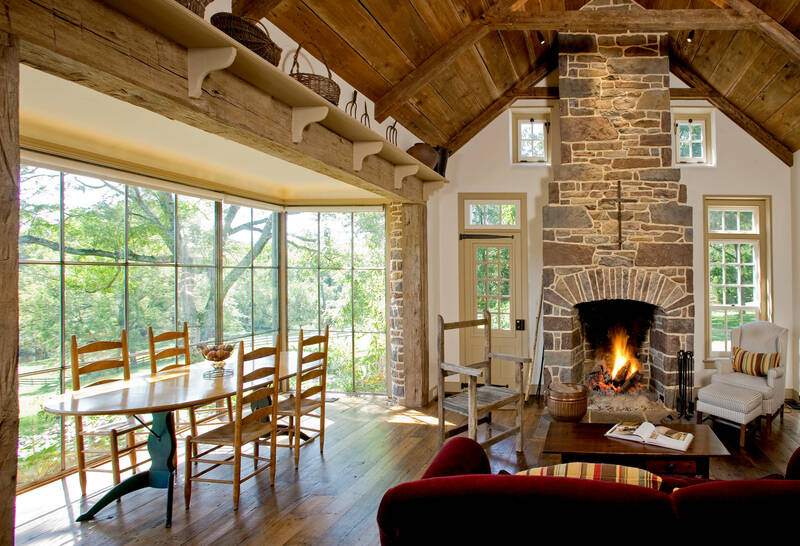 This door was built as part of a farmhouse restoration project in Frenchtown, NJ. 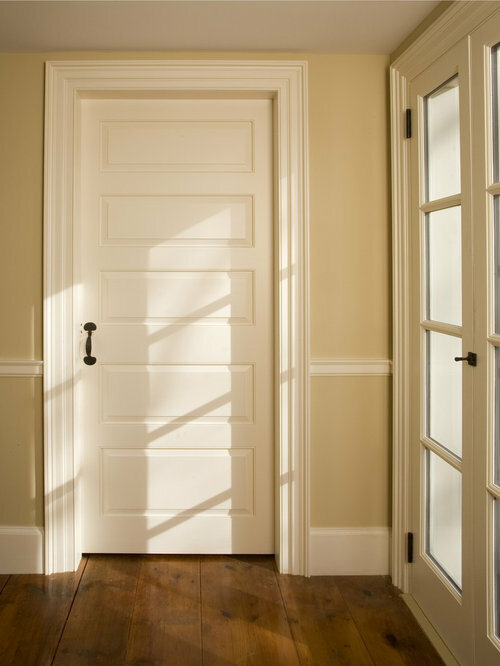 The sticking profile and panel arrangement match original doors throughout the house. Mortise and tenon construction. Hand Forged hardware by Iron Apple Forge. This is a traditional hanging cabinet with decorative scroll work and towel bar. 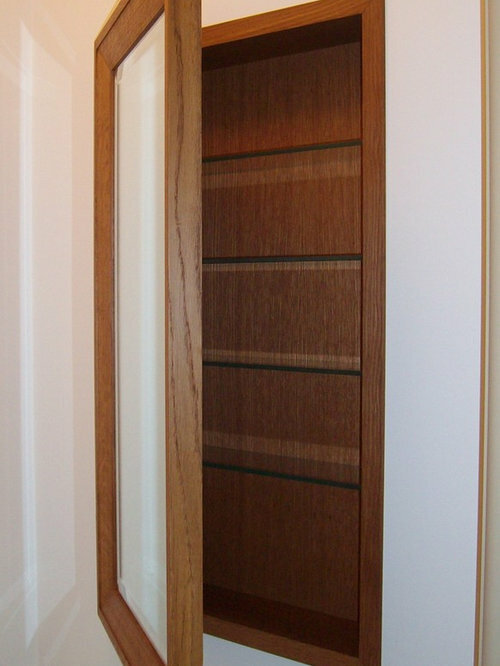 Raised pael door, adjustable shelves. 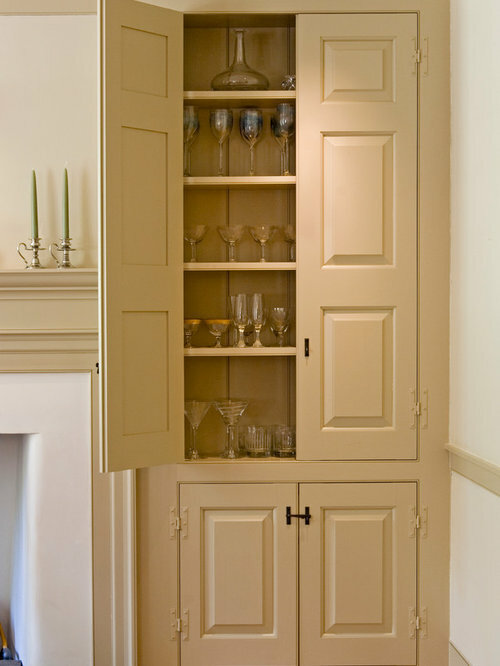 This is a reproduction parlor cabinet built as part of a farmhouse restoration in Bucks County, PA. Raised panel doors are of mortise and tenon construction. Hand forged hardware by Iron Apple Forge. 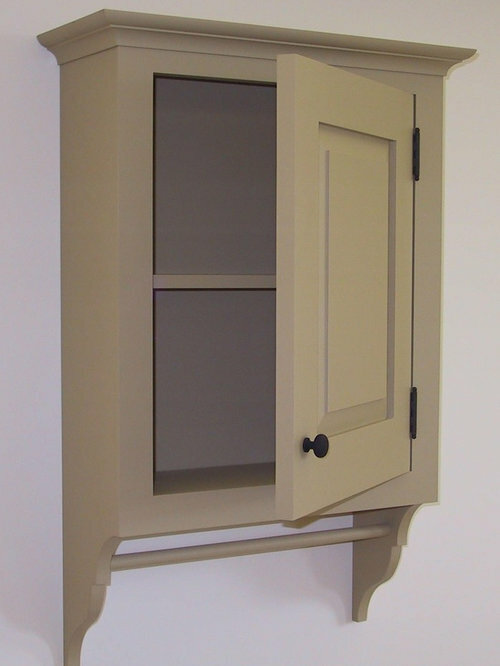 This medicine cabinet is built of quartersawn oak and fitted with glass shelves. The mirrored door makes use of concealed hinges and appears like a mirror hanging on the wall. 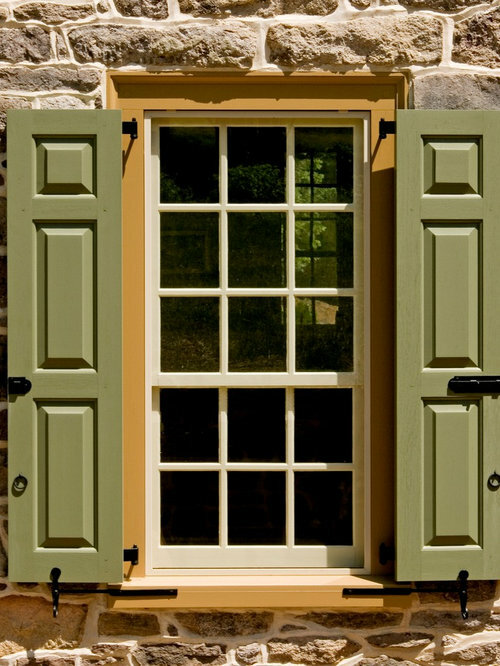 These are traditional raised panel shutters. Mortise and tenon construction. 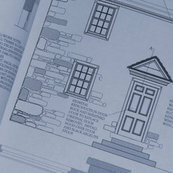 We also built the solid oak window buck and reproduction window sash. 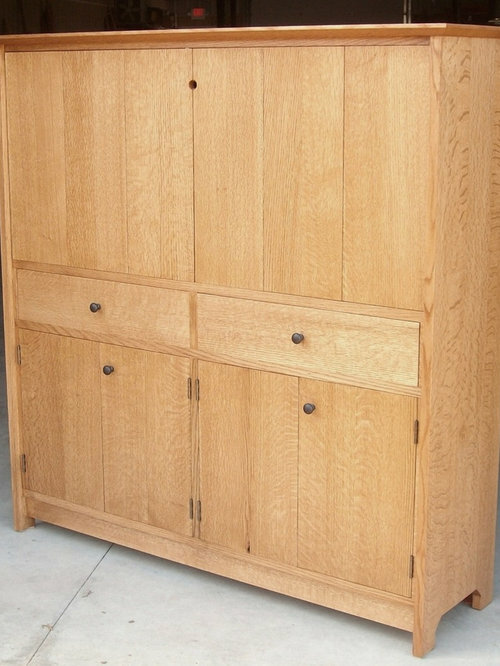 This oak media cabinet was custom made to enclose a flat screen monitor above and video and audio equipment below. Material is quartersawn red oak. Dovetailed drawers.